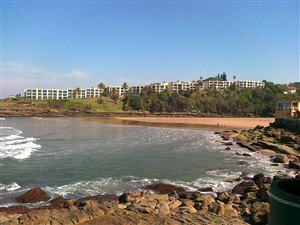 Ramsgate Guest house is situated in the heart of Ramsgate village. 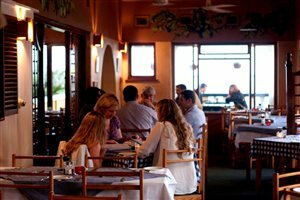 We are located on top of the ridge overlooking the spectacular Indian Ocean. There are uninterrupted views of the coast line. Spotting our occasional whale and dolphin. Fish eagles often come to visit us. Their beautiful call with the sound of the sea is quite remarkable. 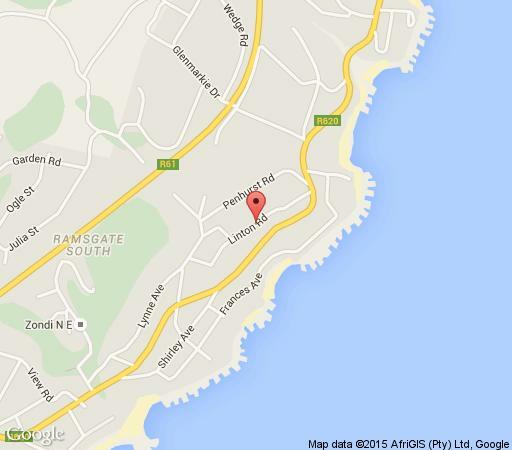 Ramsgate guest house offers 6 ensuite bedrooms all with amazing sea views. One of which is a family suite and self catering. Each room is air conditioned. They all have Flat screen TVs, tea stations and all amenities. Our large sea view lounge offers a large screen TV -DVD and sound system. We also have wifi throughout. 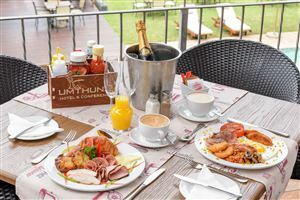 We serve our breakfasts in our sea view dining room or alfresco on the patio. The swimming pool has loungers and 2 hammocks for lazing around and also 4 braai areas. We offer both pool and beach towels. Adri is your host and will help make your stay memorable. We look forward to your stay with us at our amazing spot on the Indian Ocean. Children under 10 years of age pay 50% of adult rate. Children over 10 years of age pay full adult rate. Children under 10 years of age in their own room pay full adult rates.